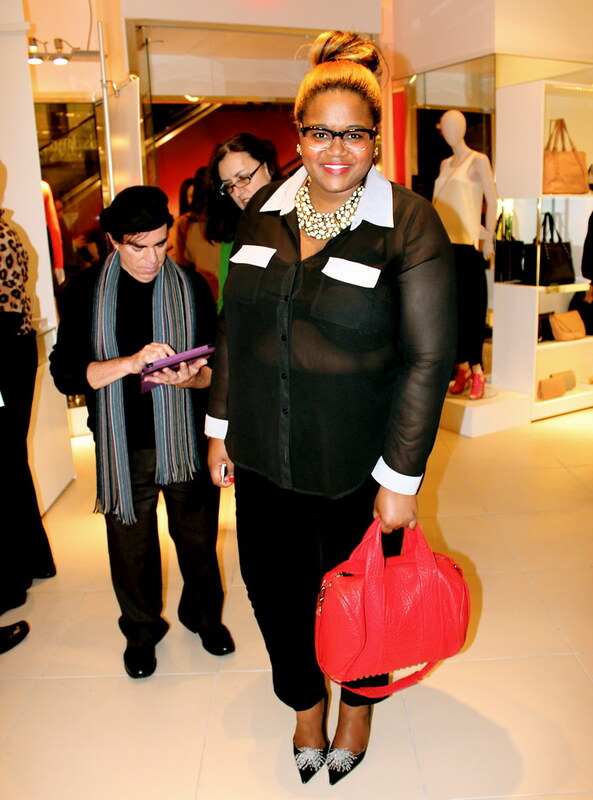 In February myself and blogger friends attended a mini soiree of Tank Magazine's fashion Editor, Caroline Issa, launch of her shoe and bag collection for L.K. Bennett. An intimate and quick gathering among fans, friends, and collaborators, Caroline mingled and greeted all that were in attendance at this special launch. Humble in her mannerism and exuding confidence with her gorgeous smile she gushed about her shoe collection and where her inspirations came from. Among her many travels, Caroline gained inspiration from Thailand. The designs of the beautiful eye catching colors included rich pinks and oranges, which I loved as I have a weakness for these colors. Caroline wore her shoes and looked effortlessly chic. If she looks familiar you may have pinned Caroline on Pinterest as her style is always captured by photographers. I especially loved the mini poom pooms on the ankle of the shoe and what is also great about her collection is the wearable heel height. Many of her friends exclaimed how comfortable the shoes were. Although a short event gathering, we had a wonderful time mingling and chatting with Caroline. I wish her much continued success in her fashion ventures. You can see Caroline Issa's collection here and pictures of the event here. 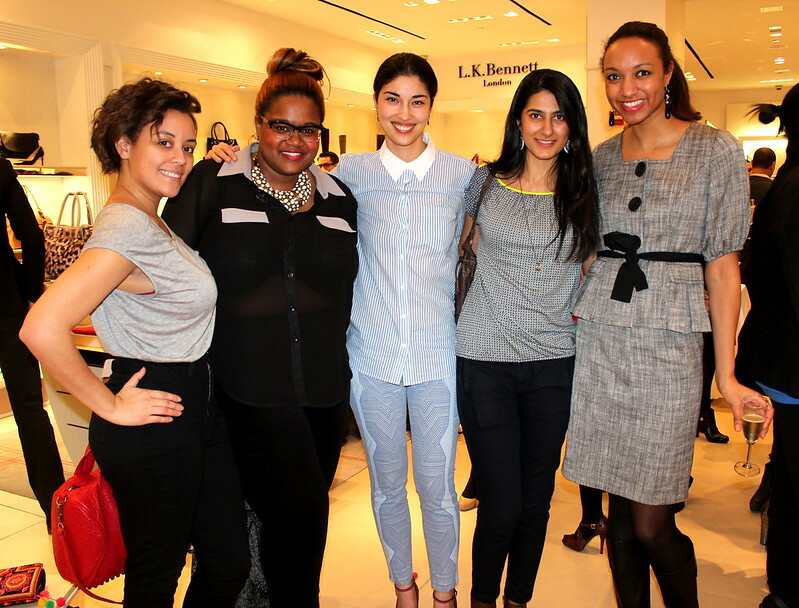 Bloggers in attendance were Ely Duran, Helene Abiola, and friend Javeria Masood. My outfit: Forever 21 sheer blouse (similar), Talbot's velvet pant, Nine West pump with vintage shoe clip-ons added on, vintage necklace, and Alexander Wang bag. 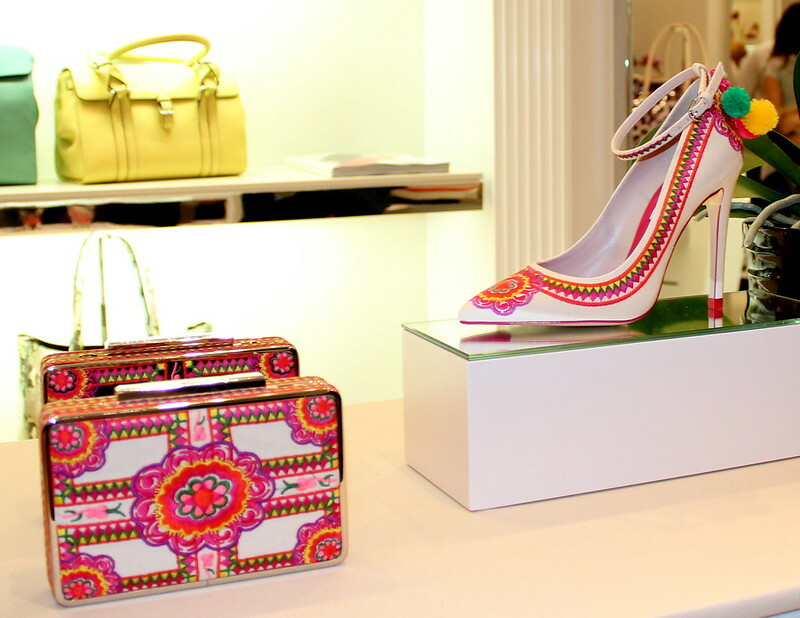 Love this collection of shoes and clutches! So unique and beautiful! You look so sophisticated and chic!